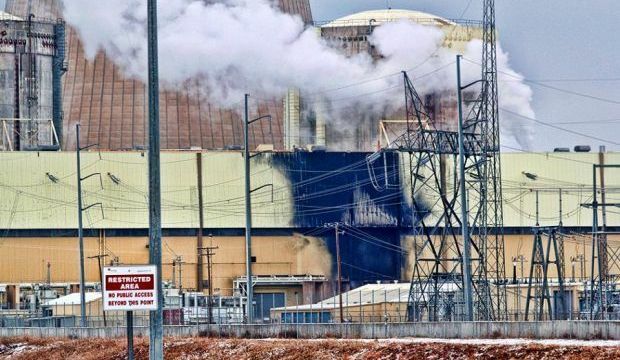 Explosion and blaze inside protected area at U.S. nuclear plant in Arkansas — Transformer blows in Unit Two, causes fire that was not contained for 1.5 hours — “Loud, ground shaking explosion” reported — Reactor remains shut down, extent of damage unknown. Wall St. Journal, Dec. 9, 2013 at 2:31p ET: The fire started in the electrical switchyard after a transformer exploded and ignited [NRC spokesman Victor Dricks] said […] The blaze started at 7:50 a.m. and was contained by 9:17 a.m., according to Entergy. Arkansas Democrat-Gazette, Dec. 9, 2013 at 11:45a ET: Arkansas Department of Emergency Management spokesman Tommy Jackson said that the fire had not extinguished within the 15 minutes of detection. “The auxiliary transformer exploded in Unit Two, and there was fire within the protected area,” he said. 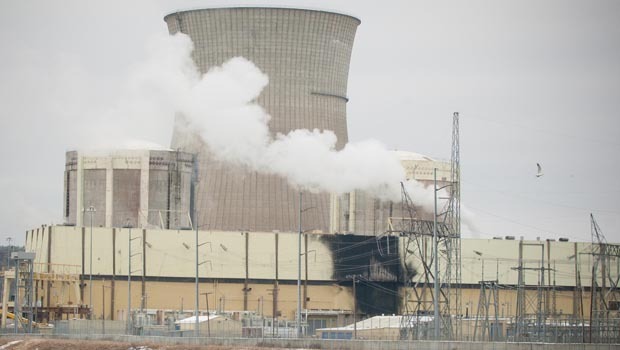 River Valley Leader, Dec. 9, 2013 at 3:31p ET: The Nuclear Regulatory Commission has activated its incident response center in Arlington, Texas, following the declaration of an Unusual Event at the Arkansas Nuclear One nuclear power plant. […] The Unusual Event was declared by operators at 8 a.m. CST after Unit 2 experienced a transformer explosion in an electrical switchyard. 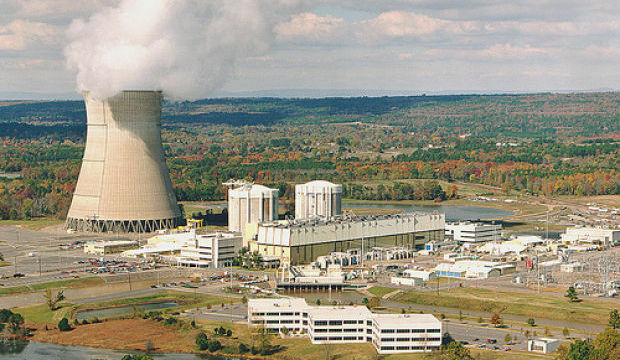 The interruption of electrical power to Unit 2 caused protective systems to shut down the reactor. River Valley Leader, Dec. 9, 2013 at 3:28p ET: […] reports of an explosion at Arkansas Nuclear One were received by Pope County 911 dispatchers. The explosion that was later determined to be a transformer blowing, caused a fire to erupt in the nuclear facility. 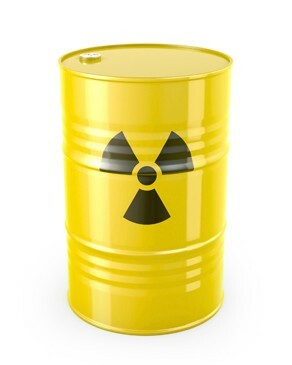 KUAR, Dec. 9, 2013 at 1:29p ET: “The issue was that the transformer itself contains oil. […] the responders made the decision to let the oil fire burn off,” says [Entergy spokesman Mike Bowling]. 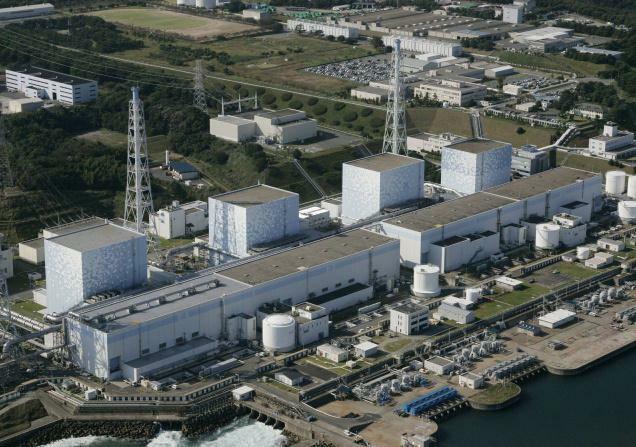 Russelville Courier, Dec. 9, 2013 at 10:17a ET: Operators will keep the Unit 2 reactor offline while the cause of the explosion is investigated and a determination is made on what repairs are necessary. [ANO spokesperson Donna Gregory] said it has not yet been determined how long the unit will remain offline. Currently there is an investigation into the cause of the fire and extent of damage. 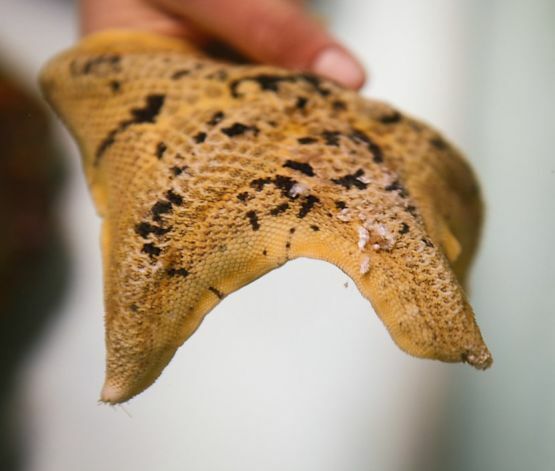 San Francisco Chronicle, Dec. 9, 2013: A mysterious pathogen is wiping out starfish along the Pacific coast […] [and it] isn’t the only weird thing to happen of late along the California coast. Marine scientists have been trying to find out why previously unknown blooms of toxic algae are suddenly proliferating along the coast. The mysterious blooms, including deadly red tides, have been bigger, occurred more frequently and killed more wildlife than in the past. Last year at about this time, legions of big predatory Humboldt squid gathered along the Northern California coast and stranded themselves on Santa Cruz beaches, far north of their normal habitat. 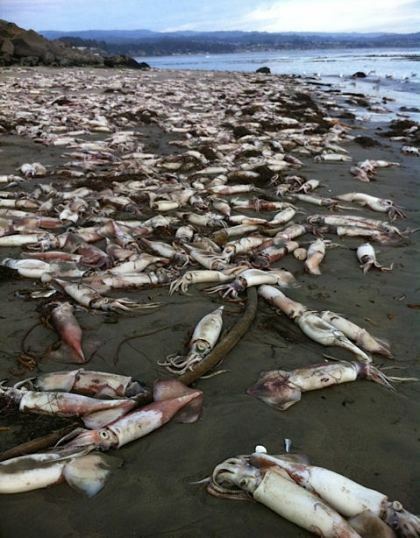 Here’s a local news report on the squid strandings from last December: A mysterious invasion on California beaches […] they washed up all of a sudden on a 12 mile stretch of beach. […] Thousands of Humboldt squid […] “You just see them essentially killing themselves, and it’s just really weird to see it,” said graduate student Hannah Rosen of Stanford University’s Hopkins Marine Station. […] Rosen said some people tried to put the squid back in the water, but the deep water creatures swam back to shore. […] The animals had full stomachs […] To be honest reasearchers have no idea why this is happening but they think its from ingesting toxic algae […] This is the third stranding in 6 weeks.